Have you been to the Bechtler Musuem lately? If not you’re in for a real treat! 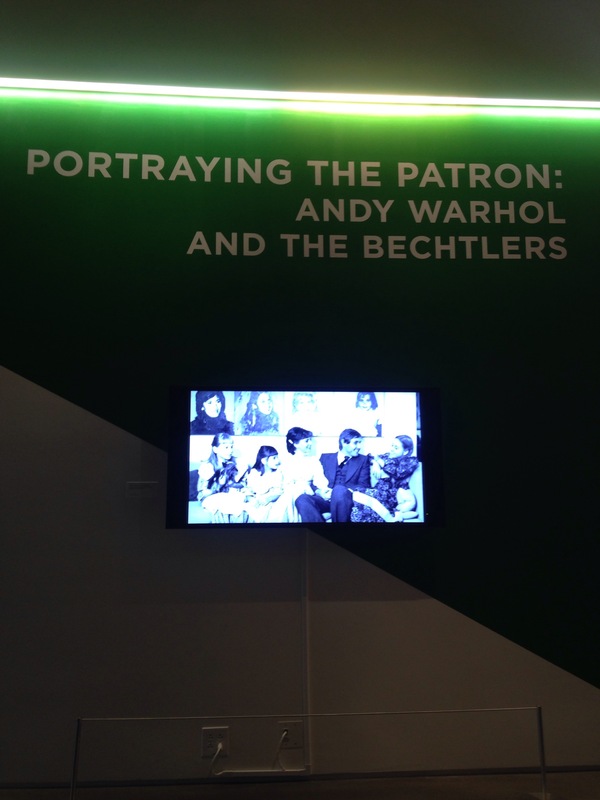 On the second floor there is an intimate exhibit about the Bechtler family’s portrait session with Andy Warhol. At first glance the exhibit may see small, featuring just two sets of the vibrant silkscreens however, it’s the ephemera surrounding that fills in the rest of the story. The case full of aged Polaroids snapped by Andy, with their slightly curling edges appear to be pinned up on the Factory wall for the artist and his assistants to choose the perfect one for each portrait. The video, produced by Ben Premeaux for the Musuem, is a sweet dedication to the family’s memories of that day. Be sure when you visit to sit and watch the whole video for glimpses into the artists work and personality told from first hand accounts.